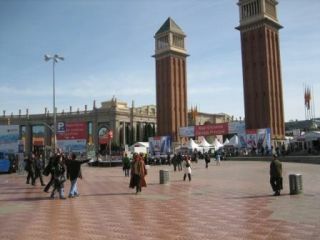 Mobile World Congress - it's coming! Just when you finally sit down after the fun of CES, Mobile World Congress in Barcelona pops up with a plethora of releases. But what's coming? We've heard a million rumours, been told a thousand 'facts' about releases and come to some conclusions on our own, too - so we've distilled them down to bring you information on the coolest announcements we think we'll be seeing in Barcelona at Mobile World Congress 2010. HTC releasing the Bravo, Legend... and Obsession? HTC is very likely to be the big winner at MWC2010, as it looks to release not one, not two, but three (and maybe even four) devices in Barcelona. The rumour mill has cranked into overdrive with the HTC Legend (which seems to bear more than a passing resemblance to the Hero) and the sheer amount of pictures, specs and stats about the device means it's pretty much nailed on to appear. The same thing with the Bravo - outlets like the Swedish version of 3 have 'confirmed' they'll be bringing the phone to their shores, so it's likely a 3.7-inch OLED screened Nexus One clone will be appearing too. And of course, don't forget HTC's Windows Mobile heritage - that surely can't be left behind either. The Obsession has been mooted for a number of weeks as a possible successor to the Diamond2 - and also packing a 3.7-inch screen with WVGA resolution and HD video recording. Come on, we all know it's going to appear - Windows Mobile 7 is so nailed on for Mobile World Congress 2010 it's not even true. We were told there was 'something big' being announced by Microsoft at MWC this year, and while the software giant does have a reputation of bigging up small changes (Windows Mobile 6.5/Windows Phone coming to mind) the sheer groundswell of Windows Mobile 7 information says otherwise. A number of sources have confirmed the WinMo 7 launch to TechRadar, so we're sure it's coming - the only question is when the UK release date will be, this year or next? The rumours are that the phones will have a minimum resolution level and some applications might not be compatible because of it - we're hoping that's not the case, but Microsoft is likely to be trying to unify the standards in the next WinMo release, so this has a tinge of truth about it. Other scary thoughts are there will be no Flash support on board as standard, but the phone will be multi-touch throughout. This is something we're looking forward to finding out, if Steve Ballmer makes it to the stage at MWC 2010. Samsung has dropped a huge hint that it will be showing off a phone running Bada in Barcelona - the clues on its website couldn't be any more obvious. The smartphone platform has divided opinion so far, with most being heavily confused about what Samsung is going to do with the platform. We think that it's probably going to be a way to move its feature phones into the growing smartphone segment - and a way to make its app portal open to everyone. But that won't be the only launch - as it seems possible that the next Samsung Android phone - the Galaxy 2 - will be turning up as well. You know the normal stats such rumours reel off these days: 4-inch OLED screen, Snapdragon 1GHz processor and the latest version of Android in 2.1. We doubt that it will have all of that, but it sounds pretty promising for the launch - we know Samsung loves to keep up with the Android lot, but we're also wondering whether such a launch would overshadow the Bada unveiling, something Samsung has been carefully crafting for months.